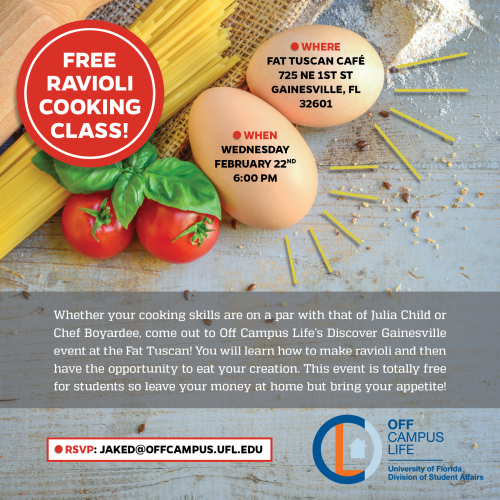 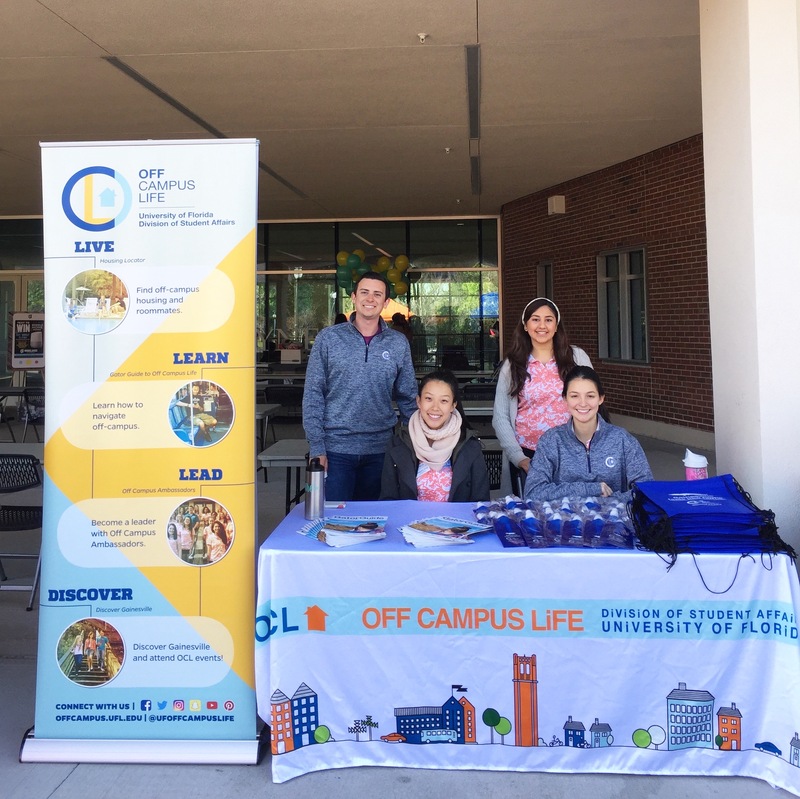 Off Campus Life (OCL) is a Student Affairs office at the University of Florida that educates students and family members about living off-campus. 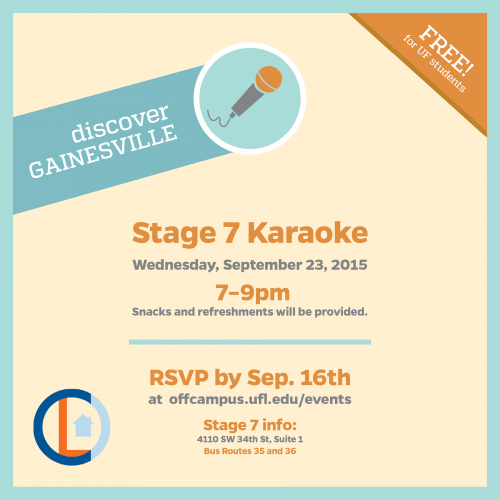 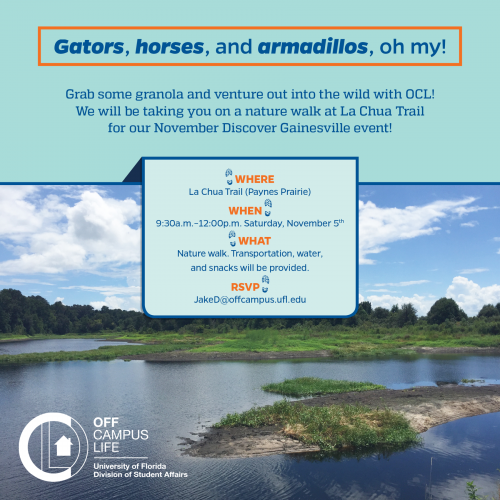 OCL hosts free Discover Gainesville events in the community to encourage students to get involved and feel at home in Gainesville. 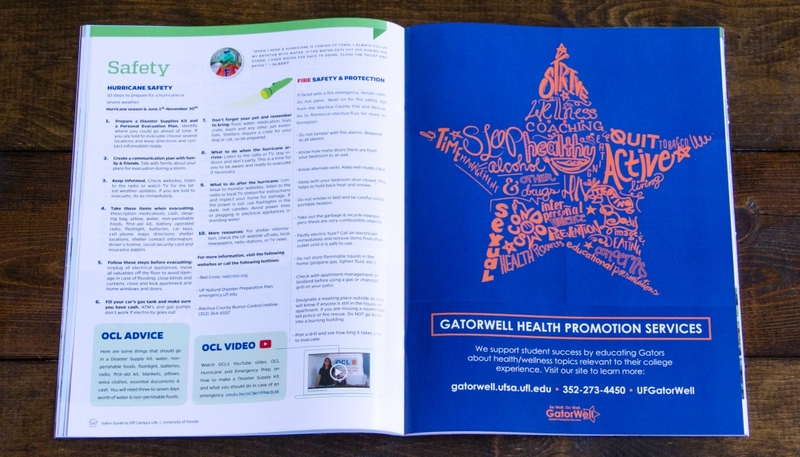 I designed the following selections while I was the graphic design graduate assistant at OCL for three years. 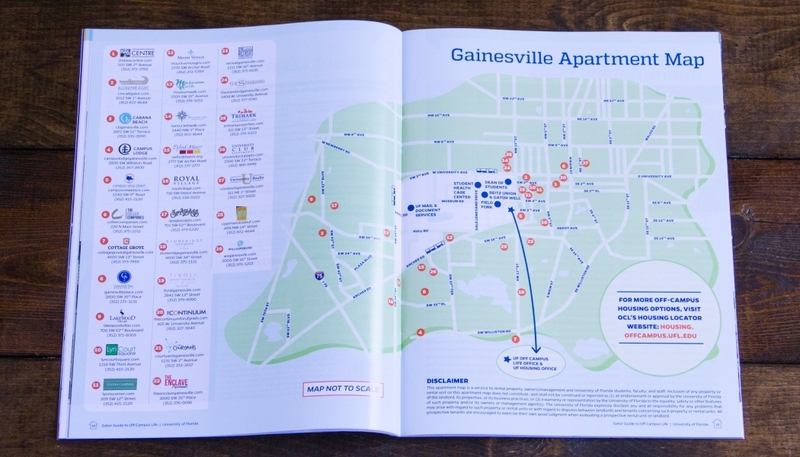 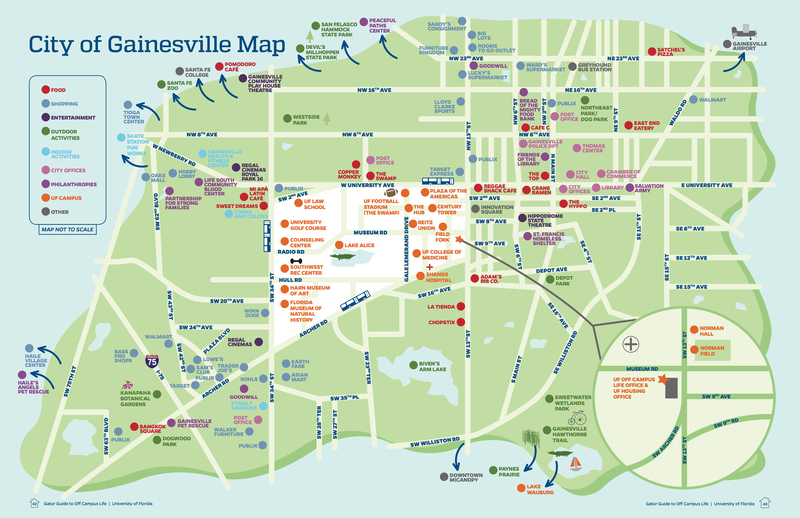 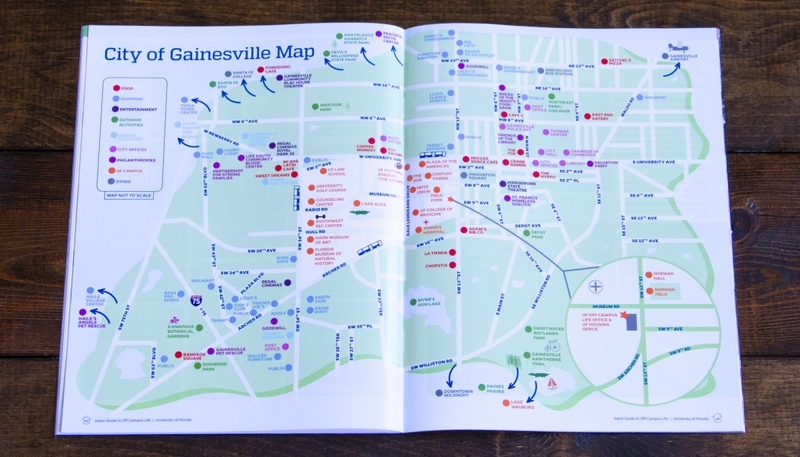 This is an illustrated this map of Gainesville, Florida in the University of Florida’s Gator Guide to Off Campus Life publication. 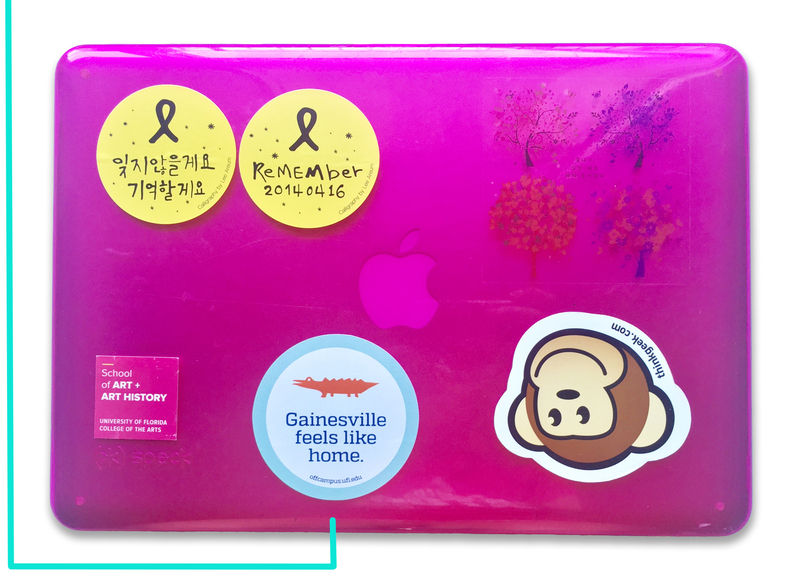 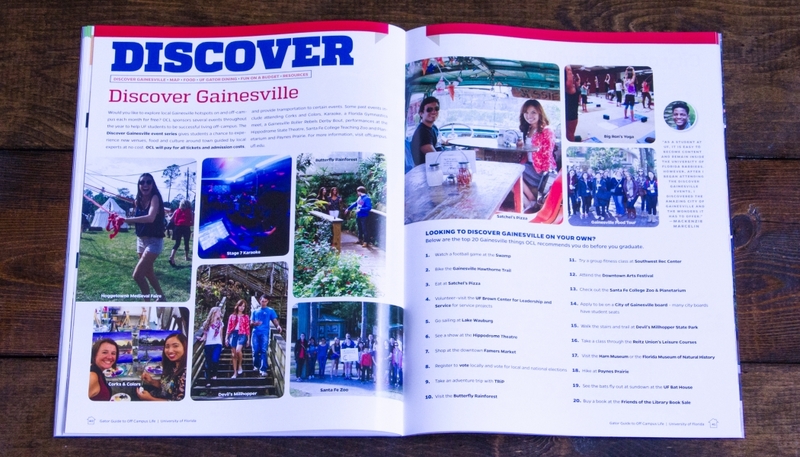 These are a few of the numerous Discover Gainesville e-invitations that reach UF students via social media and e-news. 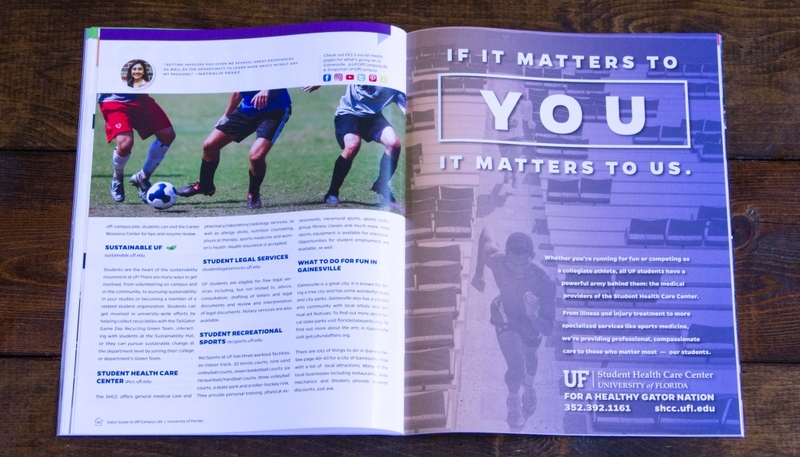 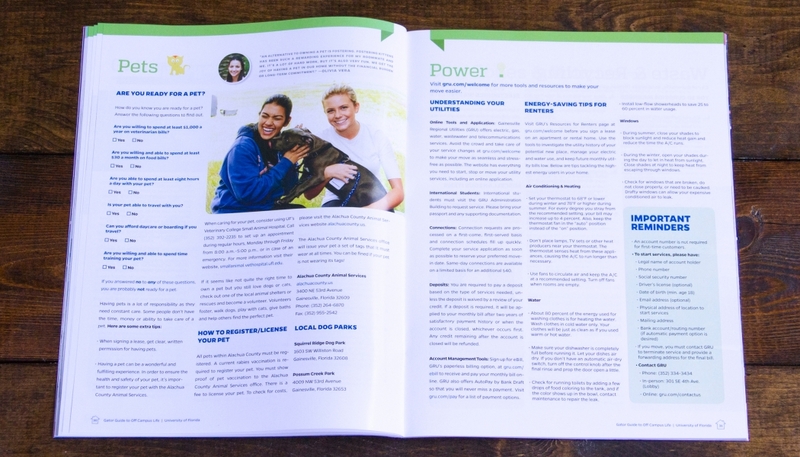 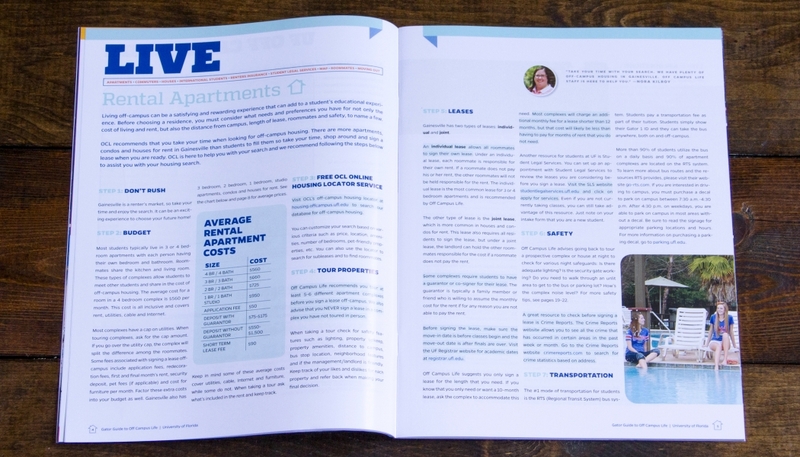 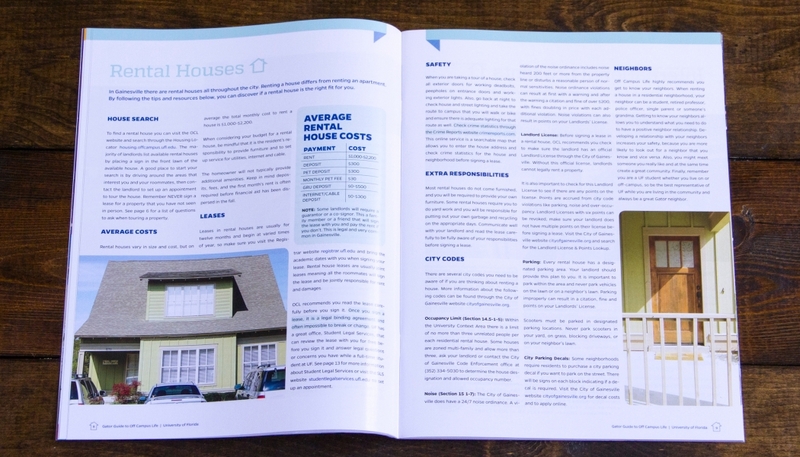 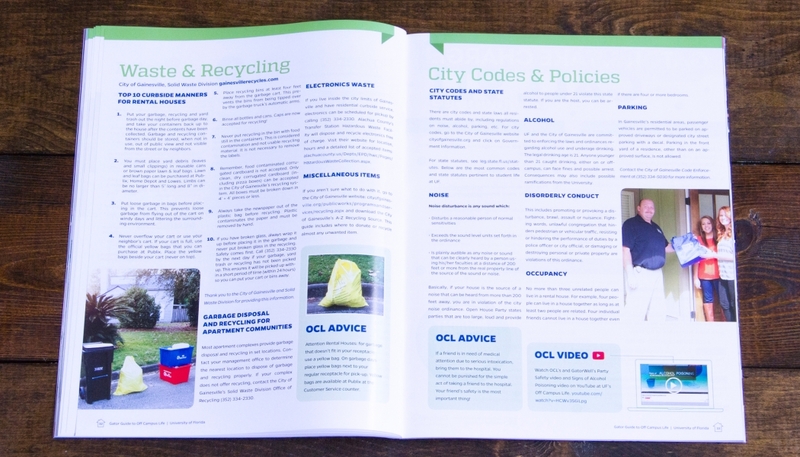 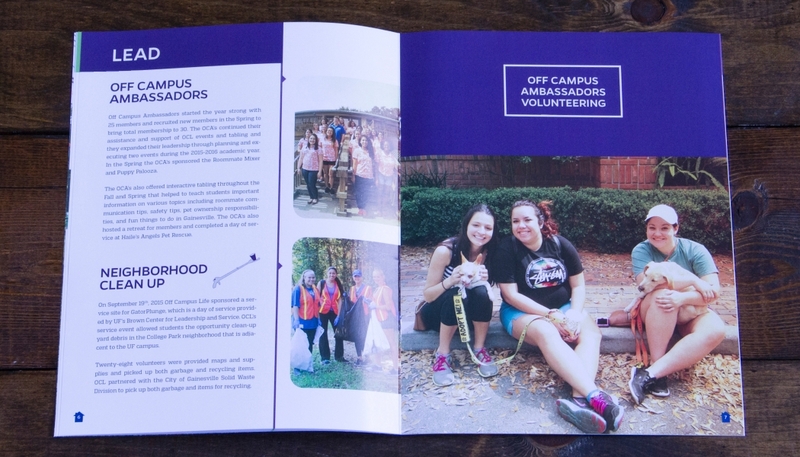 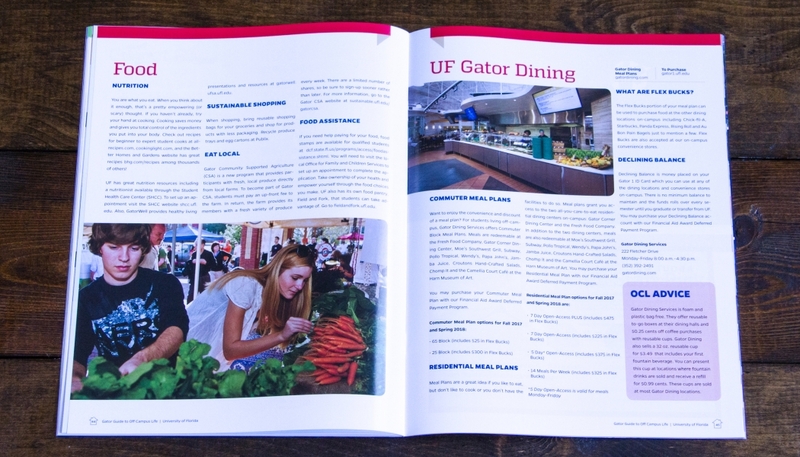 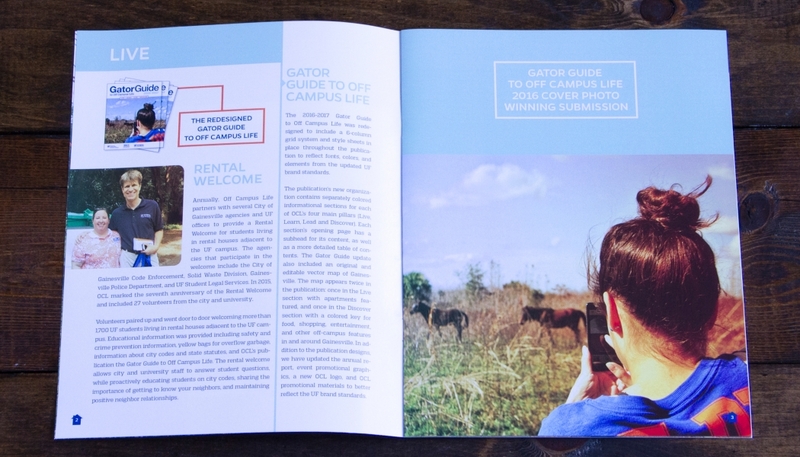 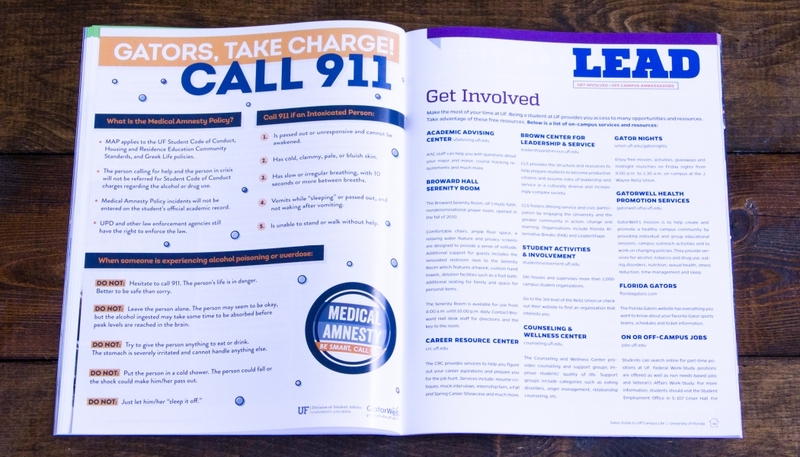 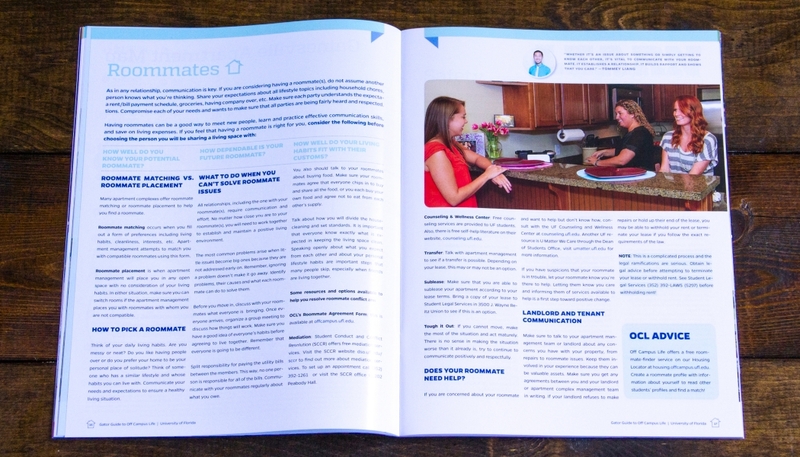 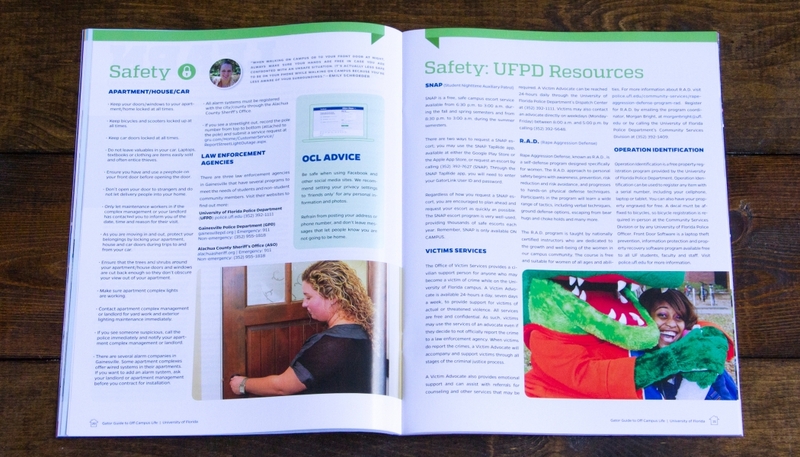 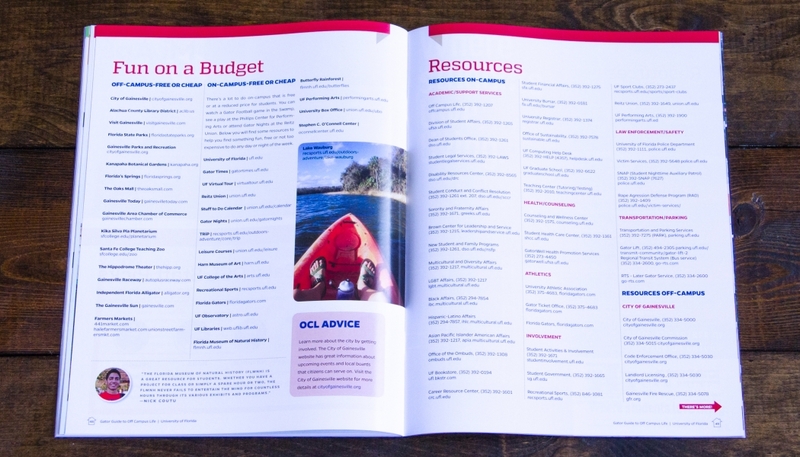 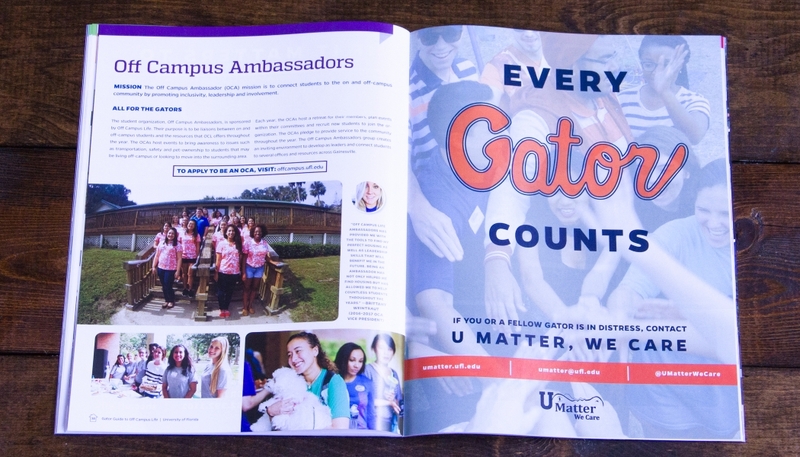 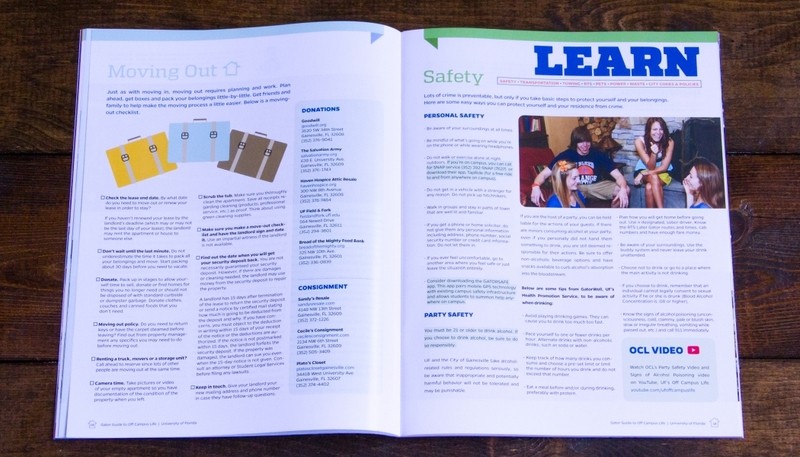 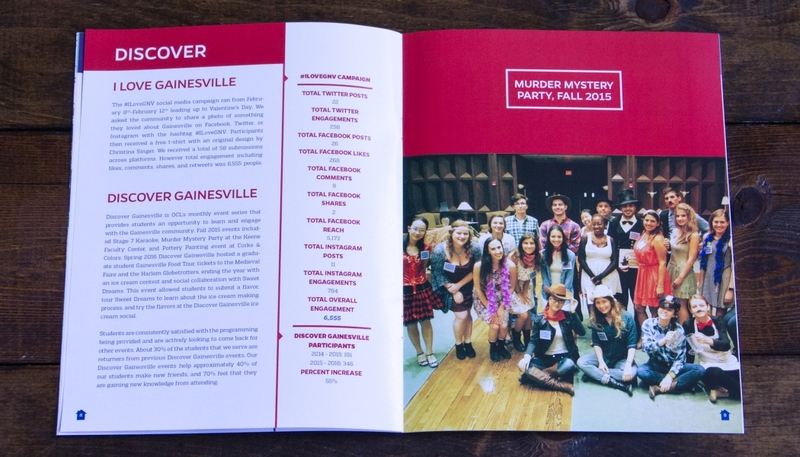 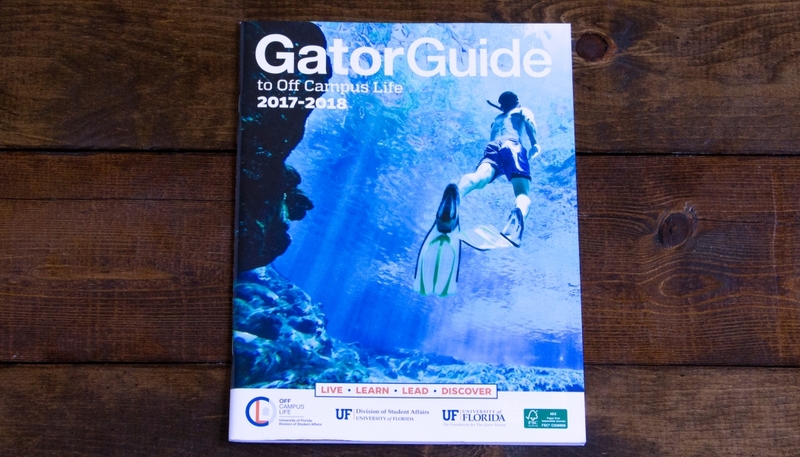 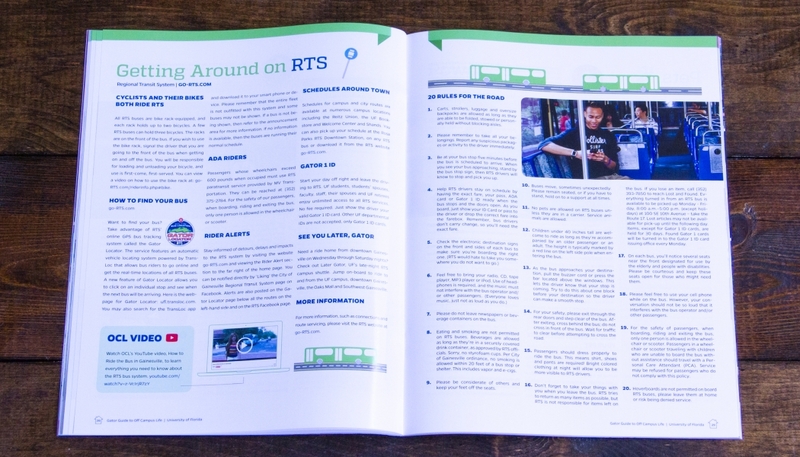 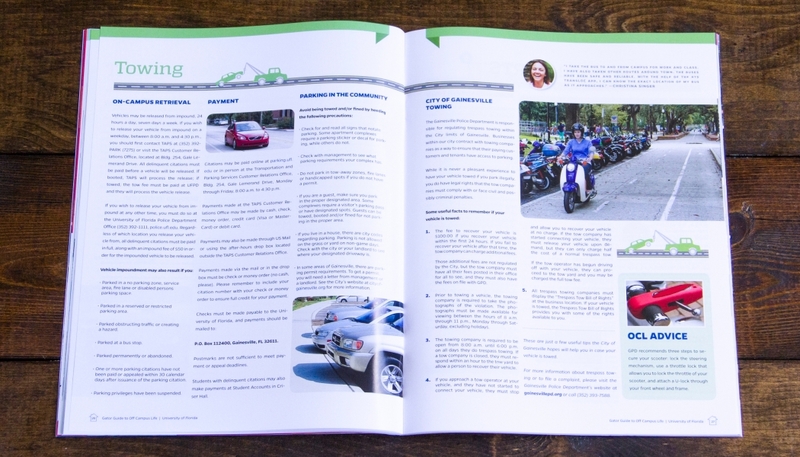 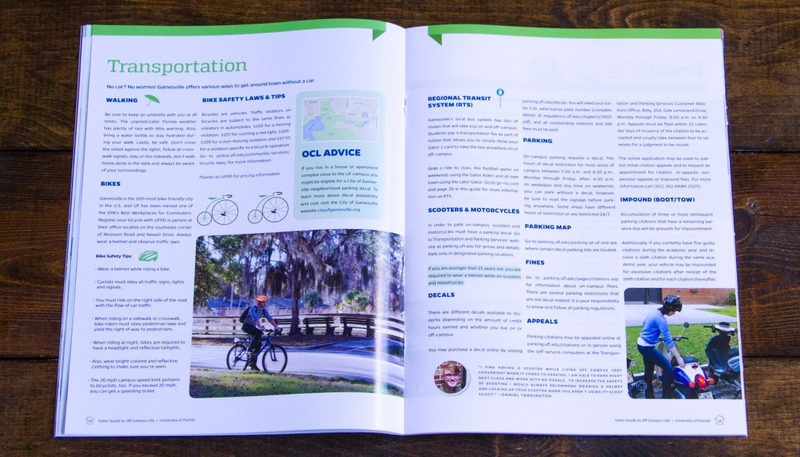 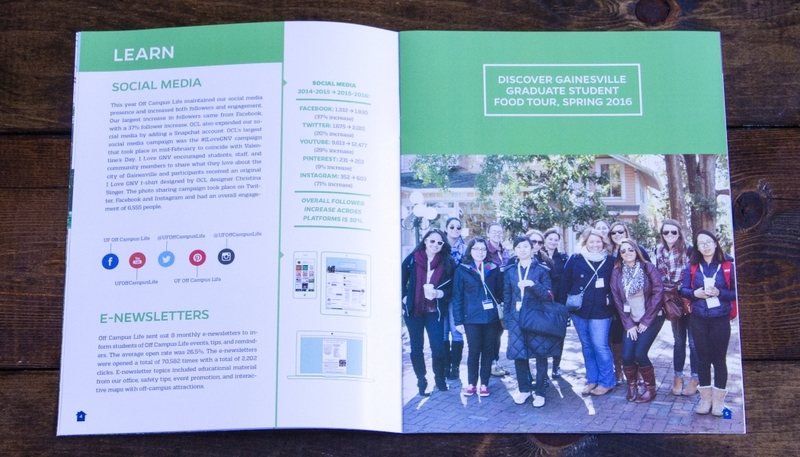 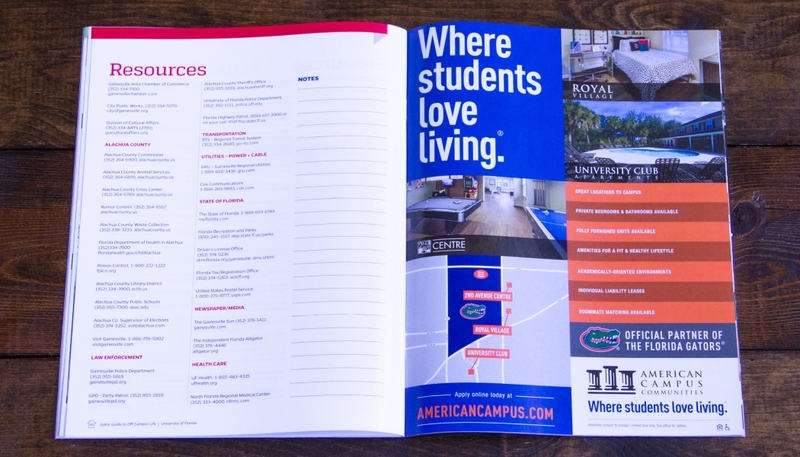 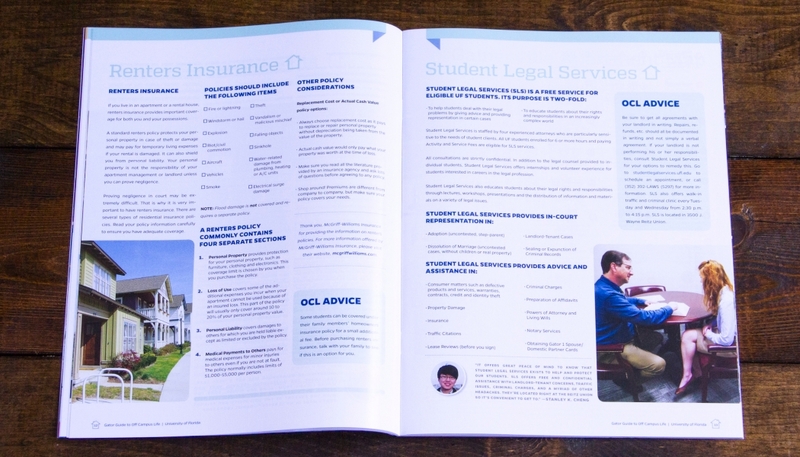 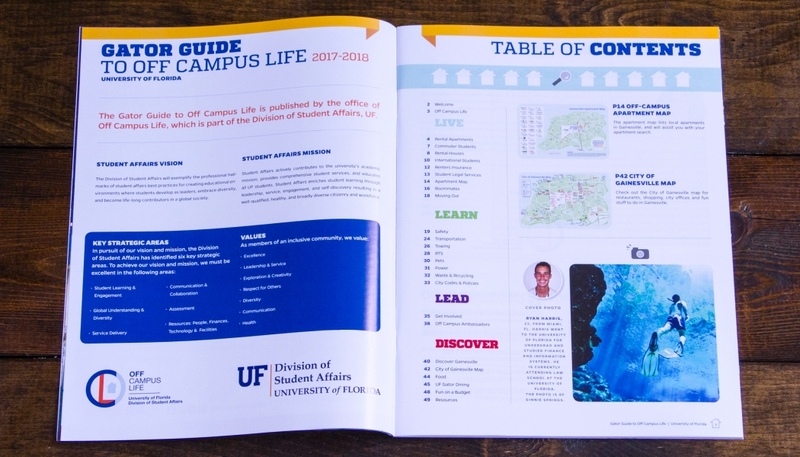 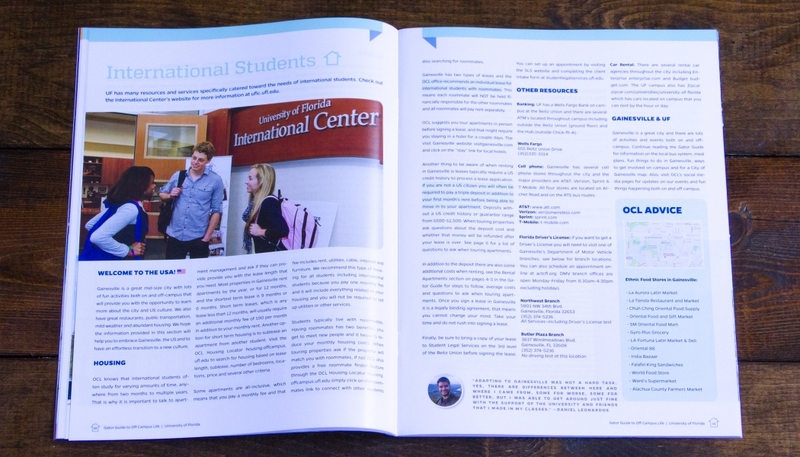 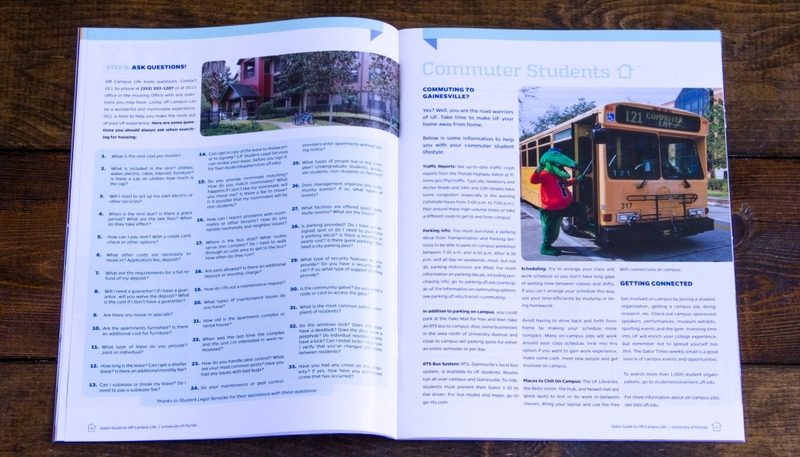 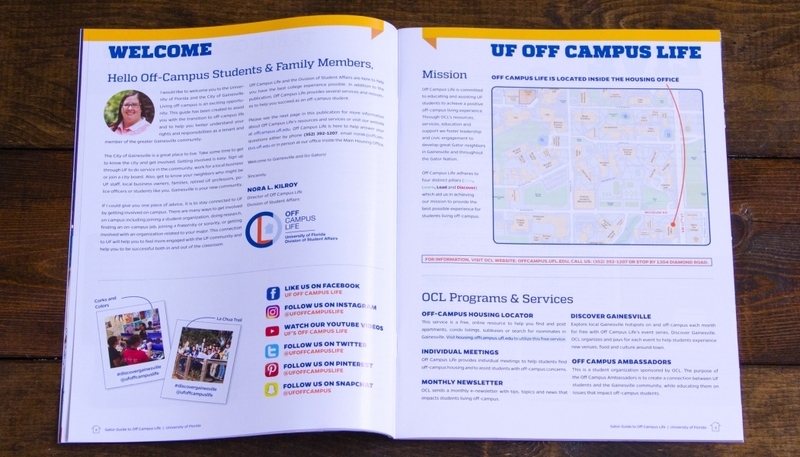 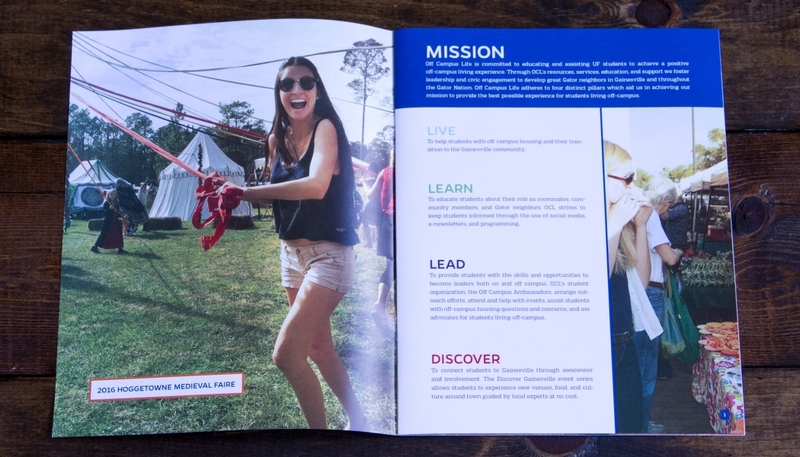 These are images from one of the Gator Guide to Off Campus Life publications. 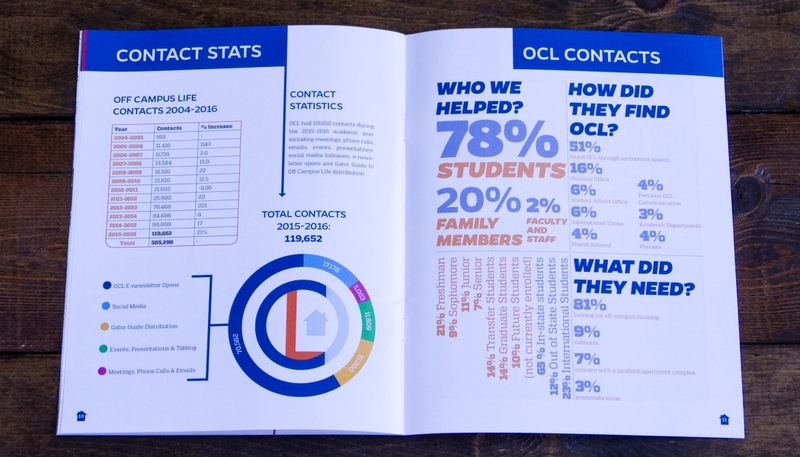 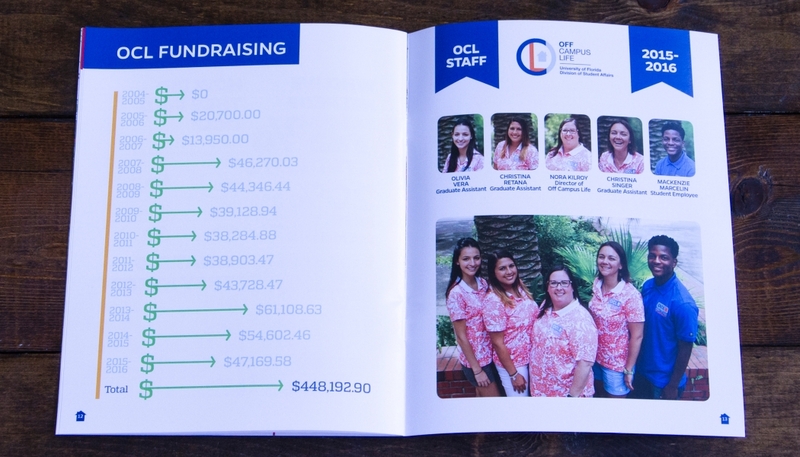 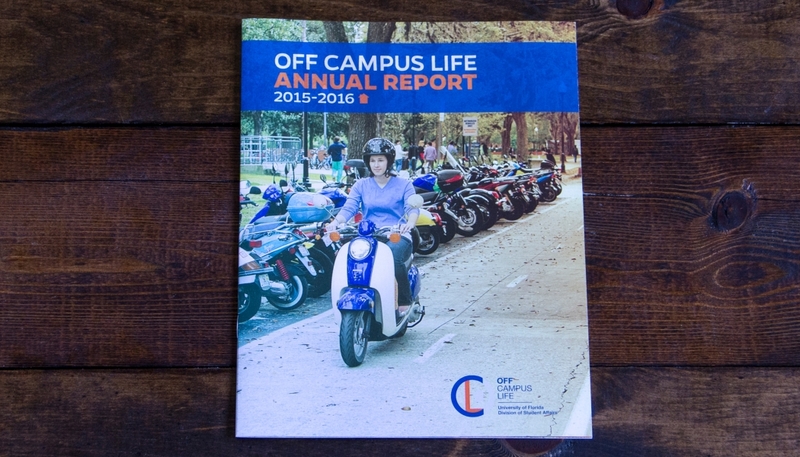 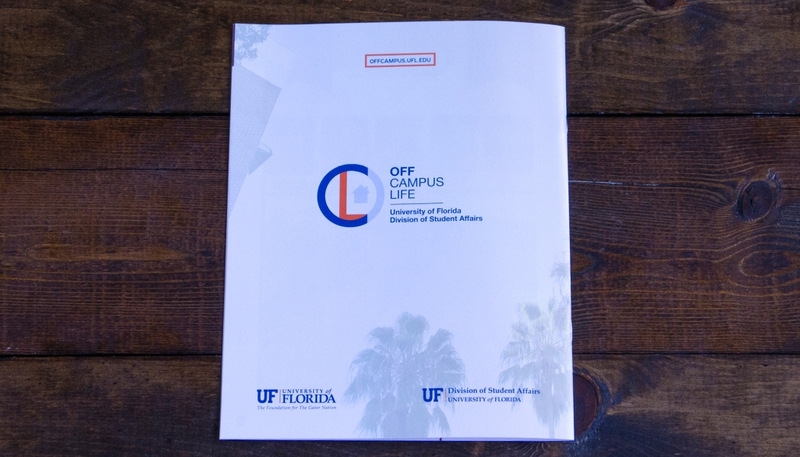 This is one of UF OCL’s annual reports.